We are one of the profound manufacturer and supplier of Control Pulpit. We designed different variety of Control Pulpits such as Entry Mill Pulpit, CRM Pulpit, HSM Pulpit, Mill Pulpit, Exit Mill Pulpit and Roughing Mill Pulpit. 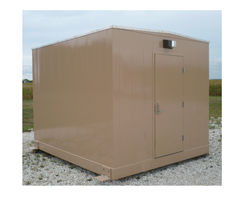 These are specifically designed using excellent quality Puf Insulated Panels that highly suitable for mines areas, melting shops, bulk material handling areas, furnaces areas, steel plants and power plants. Further, customer can avail these product from us at reasonable prices. Our expertise enables us to offer a broad range of Control Pulpit. 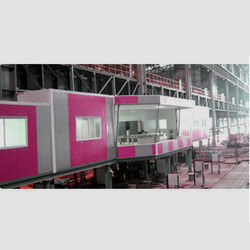 This is a type of clean room structure that is demanded for use in pharmaceutical industry. In order to manufacture this, our technical experts employ premium grade materials and the modern machines. Moreover this is available at highly competitive rates to the clients. 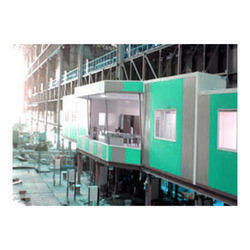 We have marked a distinct position among clients by providing them a qualitative assortment of Entry Mill Puplit. 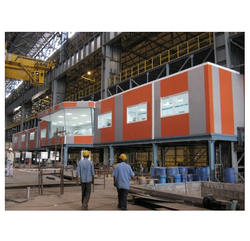 On the basis of our superior infrastructural facilities, we are able to offer a comprehensive range of quality approved product. Further to be fitted with lights & other necessary accessories, this can be made into extremely luxurious to basic necessity. Besides, this is available in various specifications in order to meet the exact requirements of the clients. We are offering quality tested Control Pulpits that come with PUF insulated panels and suited for melting shops, mines areas, bulk material handling areas, steel plants, furnaces areas, power plants and others.